if you have any questions. You can also message me on facebook. If you are interested in advertising on Ginger Snap Crafts, keep reading! Please email me at ginger at gingersnapcrafts dot com for a media kit. 1. Sponsored blog posts and social media promotions. Potential sponsors will be approved by me. 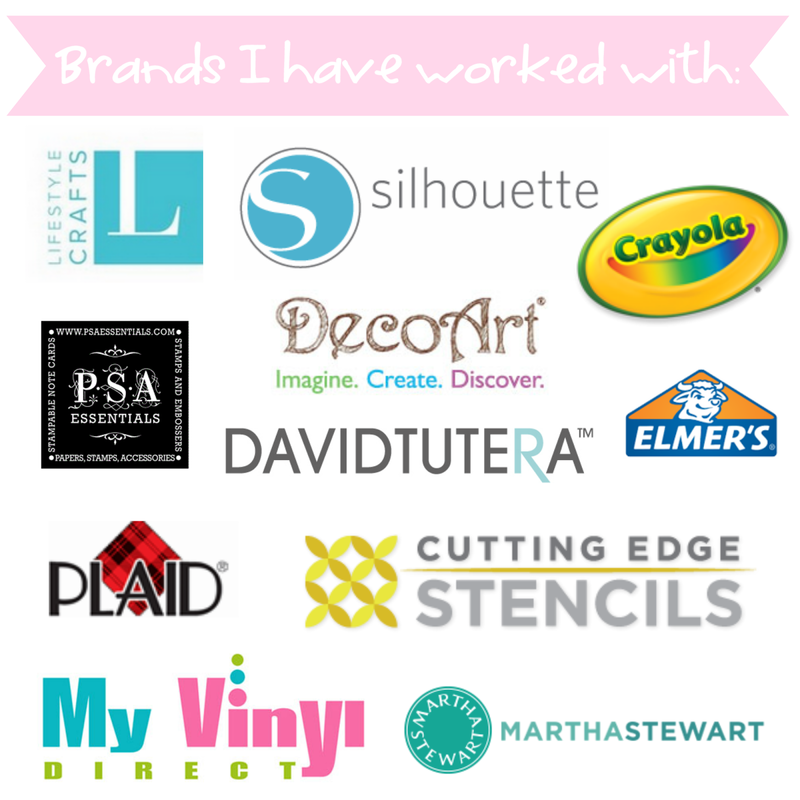 I only work with brands and companies who are a good fit for my blog. Please contact me for rates. Giveaway item value must be over $100.00. I will charge a fee per giveaway that I host to cover my time & social media promotions. Contact me for pricing. You will be responsible for shipping the product to the winner. I will write the post but will need links, pictures & a bio from you. Entry methods can be determined by you. (Visits to your shop, following your blog, etc.) I use Rafflecopter to run my giveaways, and winners are chosen by random.org. Tuesdays are reserved for giveaway post. I will advertise your giveaway on my facebook page, twitter & instagram. I will contact the giveaway winner & let them know they have won your giveaway. Once I hear back from them, their contact information will be passed along to you. I ask that you contact the winner within 48 hours so that they are aware that you know they've won & when they can expect to receive their giveaway item. FYI: Giveaways on Ginger Snap Crafts are for U.S. residents only. Contact me for the next available opening. For a good article on the legal aspect of giveaways, click here. For examples of giveaway post I've written in the past, click here and here. For my giveaway post rates, please contact me. I will occasionally do product reviews. Please contact me, & I will let you known if I feel your product is a good fit for Ginger Snap Crafts. I charge a fee for reviews to cover my time & social media promotions. Contact me for pricing. Item must be over $100.00 in value. Keep in mind I will only post positive reviews here on Ginger Snap Crafts. I will always give my honest opinion. So if for whatever reason I'm not a fan, I will not publish a negative review. This will still give you the chance to get some feedback about your product. For example of reviews I've done in the past, click here . It's fun to review a product, but even better when I get to give that same product away to my readers! The same guidelines for giveaways & reviews from above will apply. There is charge for this option as well to cover my time & social media promotion. Contact me for pricing. Product must be over $100.00 in value. For examples of a review/giveaway post I've done, click here and here. I am always open to partnering with brands that I believe in through brand ambassadorships & other long term collaborations. Please contact me if you are interested in working together. For an example of this go here. This blog is a personal blog written and edited by me. For questions about this blog, please contact me at gingersnapcraft at yahoo dot com. This blog does accept forms of cash advertising, sponsorship, paid insertions or other forms of compensation at this time. If compensation is received it will never influence the content, topics or posts made in this blog. Those advertisements will be identified as paid advertisements. All opinions are my own. This blog does not contain any content which might present a conflict of interest. I blog about things that I enjoy creating, things that have worked for me and hope to inspire you to create along with me.